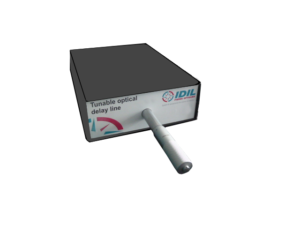 IDIL Fibres Optiques provides a wide range of tunable optical delay lines. Manual optical delay lines tunability depends on a micrometric screw which allows a higher than 0.1 picoseconds resolution. In fact, we propose a tunability that ranges between a few picoseconds to hundred of picoseconds, according to the running of the translation stage. 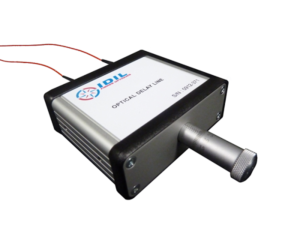 The translation stage can be motorized with a precision better than 1 µm and easily controlled by a computer via an USB interface. 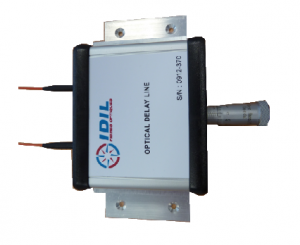 The delay line can provide precision optical path variation of more than 50 mm. Furthermore, packaging dimensions vary in accordance with customers’ requirements regarding delay values. Fiber Optic Delay Lines (ODL) consist of controlling the delay through the device by varying the distance the light travels between the input and the output fiber collimator. 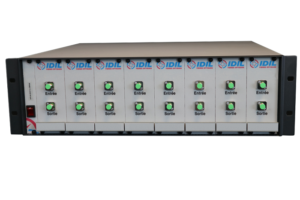 IDIL expertise in single-pass ODL allows a higher than 0.1 ps resolution compared to other supplier. Double-pass are available on request.